Rivers State Governor, Nyesom Ezenwo Wike has told President Muhammadu Buhari that Rivers people will never support violence as being orchestrated by leaders of Rivers APC. Speaking during an interactive session between President Muhammadu Buhari and traditional rulers of Rivers State in Port Harcourt on Tuesday, Governor Wike said leaders who have imported war songs will not succeed. The Minister of Transportation, Chibuike Rotimi Amaechi at the APC Presidential Campaign Rally, sang a war song in Igbo Language, threatening to unleash violence on Rivers State during the forthcoming elections. “Rivers State does not believe in violence and we will not support any dance for violence. “Those who sing other people’s song for violence, they know what they achieve. They know what they gain”, he said. Governor Wike assured Nigerians that the evil plots to fuel violence by the APC will fail. “I want to assure the President that Rivers State is a peaceful state . It will never be a violent state. I will not support violence and Rivers people will not support violence”, he said. 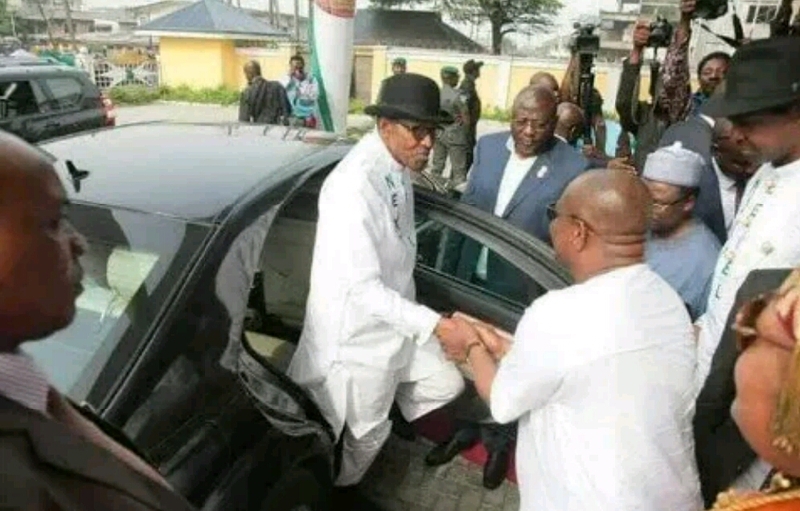 In his address, Chairman of Rivers State Council of Traditional Rulers, King Dandeson Douglas Jaja urged President Muhammadu Buhari to ensure that security agencies act professionally during the forthcoming elections. He said that security agencies should not join the fray and complicate the issues of electoral violence. The Rivers Traditional Rulers lamented the closure of the seaports in Rivers State which have negatively affected the economy of the area. They called for restructuring of the country so that all parts of the Federation will grow at their own pace and control their resources. 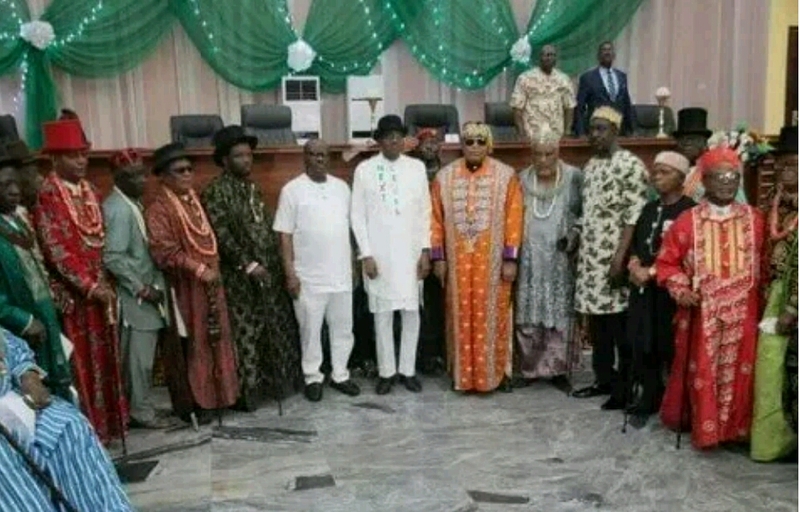 The Traditional Rulers called for free, fair and credible polls in Rivers State. They appealed to the President to check the tide of violence in the country. President Muhammadu Buhari stated that law enforcement agencies would be asked to respect Nigerians and that elections will be free and fair. The President said nobody will be allowed to intimidate people. He added that the snatching of ballot boxes will be discouraged. Buhari said that his administration has achieved the three cardinal points of his 2015 campaign. He said that security, economy and fight against corruption have witnessed improvements.